Following his martyrdom, St Thomas Becket's head was represented in Canterbury Cathedral by a life-sized bust that contained a relic of his skull. 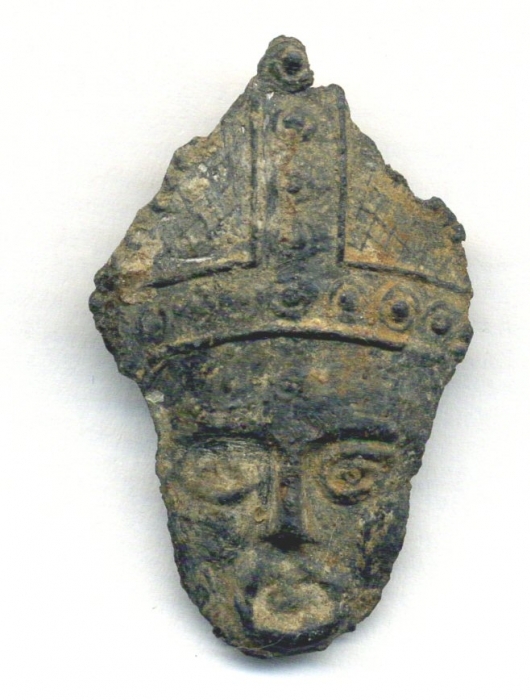 Badges of cast lead with a pin at the back for wearing were made to represent the reliquary head in the Cathedral. Worn by pilgrims to Canterbury they became popular souvenirs. Found in the river Thames circa 1990.